A Harby man has been jailed for six years for killing a driver in a head-on crash while he was more than twice the drink-drive limit. Joseph Tame (23), of Walnut Paddock, was driving a VW Passat on the wrong side of the road as he came round a bend in Staple Lane, Balderton, and collided with a Ford Focus being driven by 21-year-old Frank Martell. Mr Martell suffered serious injuries in the collision and was pronounced dead at the scene, at noon on Friday April 14 last year. Tame had been to a pub in Plungar before the crash and initially told police in an interview he had only had a lager top, but later admitted he’d had four or five pints. His blood alcohol level was 207mg per 100ml blood, when the legal limit is 80mg. 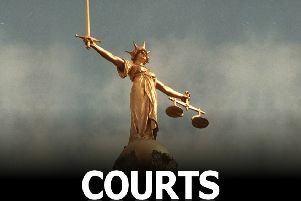 Tame admitted causing death by dangerous driving at a previous hearing at Nottingham Crown Court. He was jailed by a judge on Monday and also banned from driving for eight years. Det Sgt Adam Cooper, of Nottinghamshire Police’s serious collision investigation unit, said: “Drink-driving is absolutely unacceptable in any circumstances and the consequences are horrific for all those left picking up the pieces. “Sadly a young man has had his life cut short as a result of Tame’s completely reckless decision to get behind the wheel that evening and the family of Frank Martell have to live forever the heartache and devastation he caused. “Frank Martell’s death was completely avoidable. People have a responsibility to not drink and drive and have to expect to face the consequences like Tame is now doing. “I would encourage family and friends to challenge strongly those that do take the risk, reporting those that still choose to drive to the police.